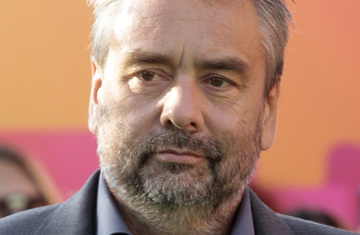 When French producer and director Luc Besson started making his biopic of Burmese democracy icon Aung San Suu Kyi, she was still under house arrest in Rangoon. She's since been released, but Besson still hopes The Lady will help push Burma towards democracy. While on his sweltering Bangkok set in November, Besson spoke with Andrew Marshall about Suu Kyi's struggle, life imitating art, and growing up in the water. Aung San Suu Kyi's struggle is a great topic for a movie. Why hasn't it been done before? Honestly? I don't know. Maybe the main reason is finding someone to play her. It's not so easy. You can't just give the role to Nicole Kidman. Most big roles you can give to an American or English actor. Is that why you chose Michelle Yeoh? In fact, she came to me with the script, looking for a producer. I said, "I know a better producer [he nods at his wife Virginie Besson-Silla] and why don't I direct?" I've known Michelle for a long time. The role was perfect for her. Suu Kyi was under house arrest back then. Did you try to contact her? The French Embassy in Rangoon helped us a little and we found a way to get a message to her. She asked to see a couple of my films. We sent The Fifth Element, Angel-A, The Big Blue, and Joan of Arc  the ones we could find in English. For a long time we didn't know whether or not she had watched them. We got all the answers from [her son]Kim [Aris], who talked to her. That's how we knew she was aware. Where were you when Suu Kyi was released in November? It was surreal. In the morning we were filming the liberation of Suu in 1995. We filmed her leaving her house  we've rebuilt it so it looks like the real one  and waving to the crowd at her gate. Then, back at the hotel, we watch Suu on TV, doing the same thing. It was so confusing. Suu Kyi is such an iconic figure that we sometimes forget she is also human  that she fell in love with an Englishman and had two sons, and at one point had to make an impossible decision to stay in Burma as her husband was dying of cancer. Most people don't know the love story, and the crucial choice she has to make between her country and her family. The big question of the film is: What would you do in her place? One minute you will think, "She should go." The next minute you will think, "She must stay." The entire film will be like this. You will change your mind probably five times while watching it. And Suu Kyi's family were helpful? We couldn't have made the film without Kim and Anthony [Aris, Suu Kyi's brother-in-law]. They are the ones who guided us and said, "No, that's not the way it happened," or "This is too much." Burma is more than a country. It's a cause. Growing up, did you you have causes? So why did you make The Lady? First, I'm sensitive to her plight. A year ago, when there was probably no chance of her getting out, one of the motivations was: Let's make this film to wake up the consciousness of people. She doesn't need us for now. I respect her a lot and don't want to offend her. I'm careful with that. Because she's there. She's alive. What will happen next in Burma? The best that could happen is that [Burma's ruling generals] give part of their power to her. She cares for her country. They should listen to her and start a real democracy. She's the only one that can bring about that. The only one.